These urns are hand cast from a custom made mold taken from an original sculpture by the artist. 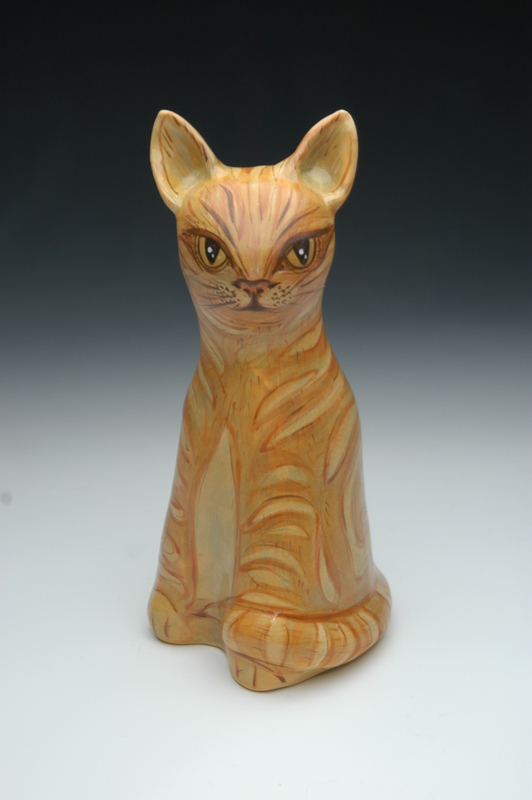 They are each handpainted by the artist to reflect diiferent cats. You can choose to have the cat shown or you can send a photo of your cat and we will custom paint the Urn to resemble your special friend. This Urn is 11 inches tall and 5 inches wide at the base. Usually ships with in 22 business days.